1. REMOVE ALL cartridges from the printer. 2. Turn the printer OFF at the wall, leave off for at least 20mins. 3. Turn the power back ON at the wall. 4. Turn the Printer ON and Firmly reinstall ALL inks. Sometimes it can be that the ink cartridges are just not sitting in perfectly straight and not contacting properly with the printer contacts. Also check that the small microchips on the inks are all clean but be gentle with them and dont touch them with your fingers. 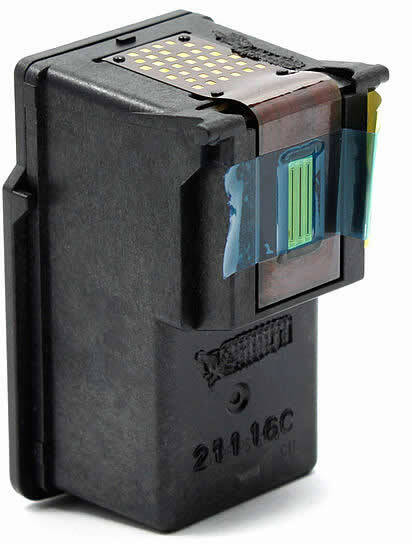 If you continue to get the same message try replacing one cartridge at a time as more than likely one cartridge has a faulty microchip and this is the only method to isolate the faulty one. 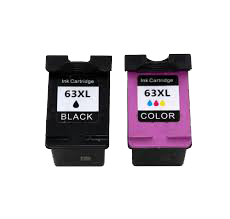 Another common cause is also due to using a mixture of both Genuine and Compatible cartridges. 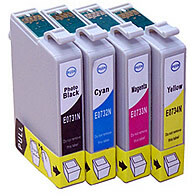 It is recommended that you use either ALL Compatible Cartridges or ALL Genuine Cartridges in an Epson Printer. This way the Epson printer cannot detect the difference between the micro chips on the individual cartridges. Most people find that this problem is resolved by doing this. WARNING !! Do not under any circumstances update your firmware on an Epson printer if you are using Compatible Ink Cartridges. Epson are always trying to combat the use of compatible cartridges so they can corner the market so if you are prompted to update you printers firmware DONT ! Also turn off any auto updates in your printers software options. For those who prefer the solution visually have a look at the following video which basically sums up what we have discussed in the above post. 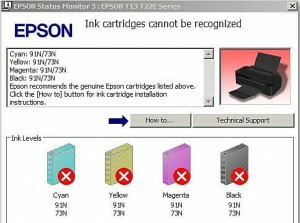 On some of the latest model Epson printers such as the XP-830 series etc we have found that sometimes the only way to overcome this error message is to insert the cartridges one at a time. You need to persevere as some printers are very stubborn and you need to mess around a bit to get them to recognise all of the cartridges. Some of these later models are even not recognising the genuine Epson cartridges. It's time that Epson engineered their software a little better to stop these random issues from occuring !